Gool Lodge Opposite R.C High School of Commerce, Delhi Chakla, Ahmedabad, India 380001. 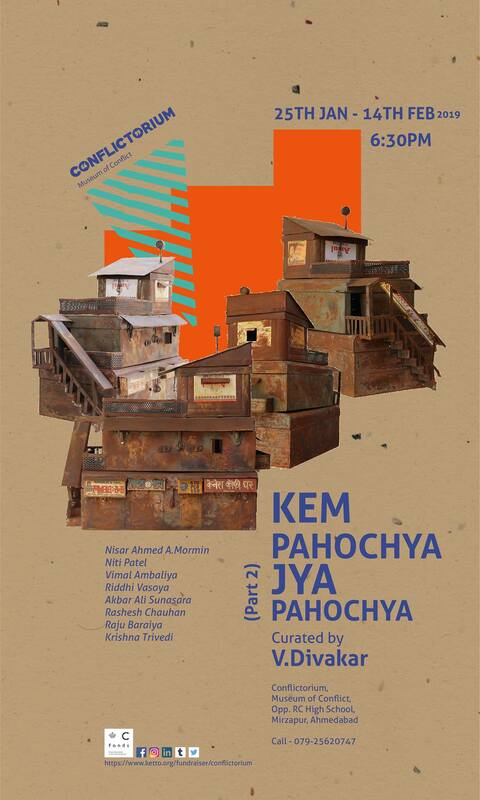 The conflictorium is excited to announce Part 2 of the exhibition series – Kem Pahochya, Jya Pahochya? The exhibition, ‘Kem Pahochya, Jya Pahochya’ revolves around what constitutes a Gujarati identity and how do we explore themes surrounding the same. The show attempts to create a dialogue between the artists about the different experiences they had as a Gujarati and how these experiences shaped their lives.